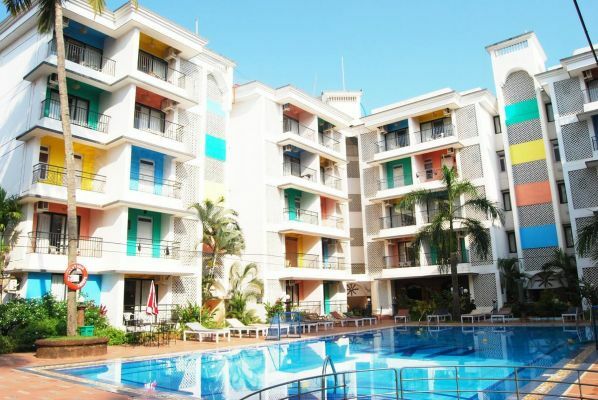 Its an ideal location in Calangute, North Goa where you will enjoy the essence of relaxation on its tropical sunny beaches that will while away your big city blues and leave you invigorated by this special holiday that will keep calling you back again and again. If you ever want to explore we are a smart stroll from all that is see-able and do-able that Calangute has to offer. Spoil yourself with the warm and caring culture that we pride ourselves upon, accentuated by the colourful atmosphere you will be encompassed by and make sure to tryout the exotic food we have to offer. We at Palmarinha Resort invite you to soak in the tranquillity and experience the carefree, holiday you deserve with our ever so attentive staff catering to your every need with pleasure and zealousness, always at your service. We want you to have the best time & simply be on vacation, so we will make sure we give you the best we have to offer.